The Gal – Nicole ? Bet that no one remembers I blog. LOL! I’ve gotten married, awaiting my home (eggcited) and became more grounded in my career. Not bad, considering the rollercoaster year it has been thus far. And so, I finally could muster some use of my hands today after a near freak out ordeal at the clinic yesterday. For those who are not aware, I had to take a blood test to ascertain my immunity levels before getting any necessary immunizations done before I could commence work. I could vividly recall how sweat poured out of me when the nurse told me that my vein(s) does not seem to cooperate with letting the blood out into the test tube. And so, my left hand was spared. To my annoyance, blood from the right hand had to be taken. That annoyance gave way to sheer panic when she told me that in the event of unsuccessful blood taking, the doctor will take over. However, the doctor is not confident of drawing blood. I just went… OMG. Relief flooded me when I see blood rushing out of the vein on my right hand and into the test tube. I am so thankful that I would not be left at the mercy of the doctor. After that, everything went well, except that I have to start losing weight. Damn. Erm, okay. It’s been 5 months since I last place an entry here. Does anyone still read my blog? I don’t know. It’s December 2014, and I feel kinda weird blogging because I haven’t been that active since stepping into Social Services. Not an excuse, I know. Anyways, just came back from a much anticipated and long awaited family vacation. Though it is not my first visit to Thailand, Chiang Mai, it is for the rest of my family members. Can’t wait to share more about the trip. Half of 2014 has gone by, and it is now June already! Culture shock is an understatement, because I now get to see what truly social work is all about. Knowledge and skills empower a worker, however, it is the human touch between the social worker and client, that working relationship and rapport building make or break a case. Although it may seem easy to say, the action part is always the toughest, and yet the most rewarding. Stories of the human life warm the cockles of my heart, even though it may be heart wrenching. 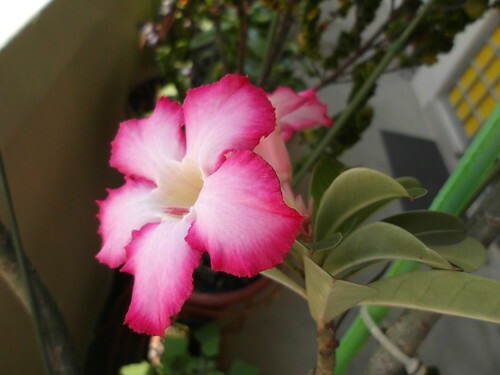 Yet, the beauty of it is the strength to persevere, even if the situation seems dire. I would love to go on and on, however, I shall have to catch my much needed rest. 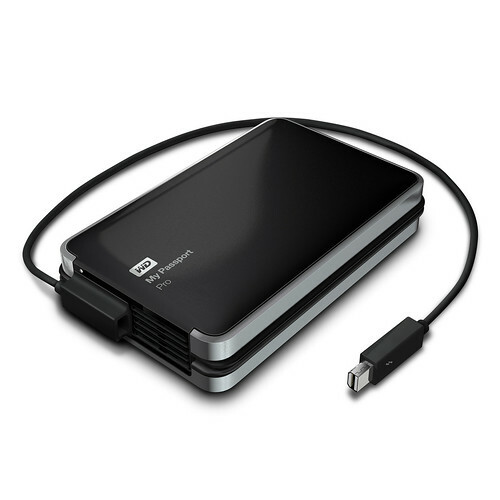 Western Digital (WD) is no stranger to the Hard Disk storage industry thus it was not at all surprising that they would debut the My Passport Pro which is able to bring data storage to another notch higher, with RAID redundancy options as well allowing high speed data transfers. Side look of My Passport Pro as above. 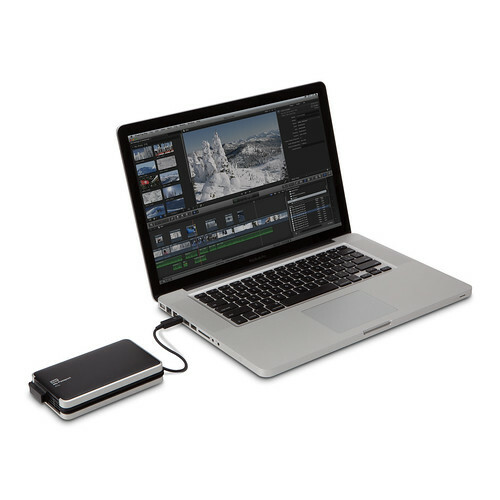 Personally, I have not laid my hands on the product and is unable to share with you the experience of using My Passport Pro. 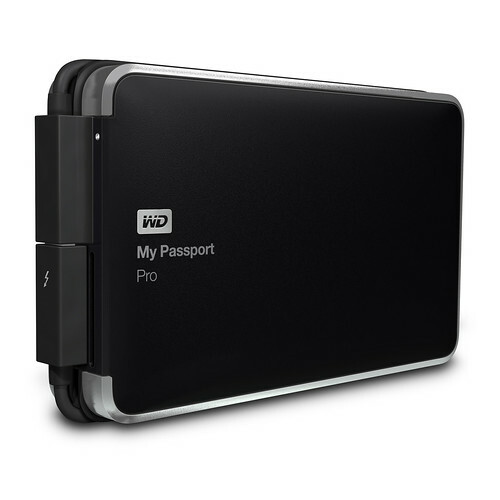 WD My Passport Pro retails at the following price – $499 for the 2TB model and $699 for the 4TB model respectively. 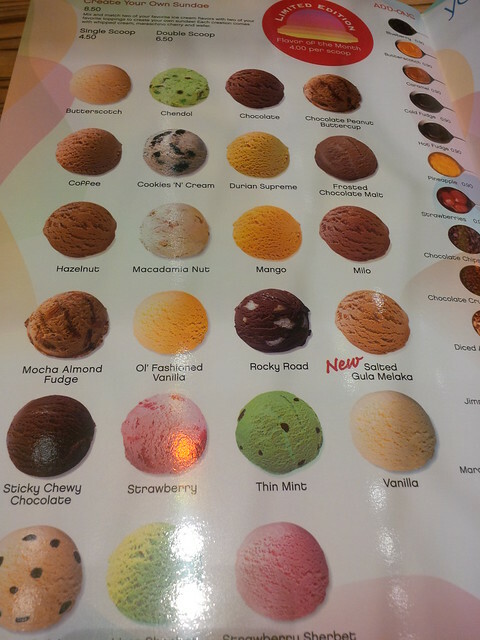 Prices quoted are in SGD currency. Singaporeans are no strangers to food. Thus, there is no surprise when there is an entire mall showcasing different cuisines of food to spoil our tastebuds silly. Bedok Point is turning 3, and constantly seeks to revamp itself by bringing in new F&B offerings. Shall not bore you with text, and let the photos do all that talking. First up, Suki-Ya (eat all you can sukiyaki & shabu shabu)! Tried the new soups on the menu, and the above photo featured the following pairings: Laksa & Butauiku (Pork based soup) and Kimchi & Touyu Miso. My personal favourite would be both the Kimchi and Touyu Miso. It is quite an enjoyable experience though I would urge you to save some space in your tummy for some ice-cream to cool off the hot meal! Oh, and I quite like the fact that my clothes doesn’t smell like I have been through a grill or something. Now, that caps the dining experience. 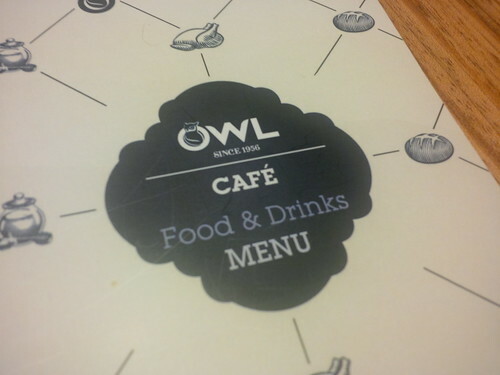 After the yummilicious dinner, the small group adjourned to Owl Cafe, for yet another round of food. Yes, our very own local Owl brand! Apart from their coffee, other things on the menu is also worth trying, and I have to say that the desserts were especially yummy. Managed to try out their desserts, the Durian Pengat as well as the Soya Beancurd with Mango & Pomelo and both dishes hit the right notes with my sweet tooth. The Durian Pengat was rich and creamy, with D24 and Mao Shan Wang durians mixed together, giving it a bitter yet smooth finish in the mouth. For the less adventurous to the king of fruits, the soya beancurd provides a refreshing taste, complimented with the sweet Mango and tangy Pomelo. 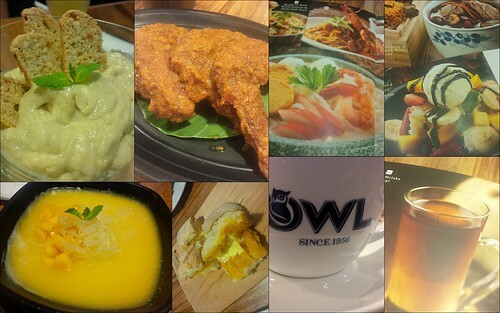 Ok, apart from desserts, Owl Cafe do sell main dishes such as noodles, soups as well as light bites such as the Pumpkin kaya toast, Assam chicken wings etc. While you are there, do give their coffee a shot, ranging from charcoal roast coffee to gula melaka coffee. 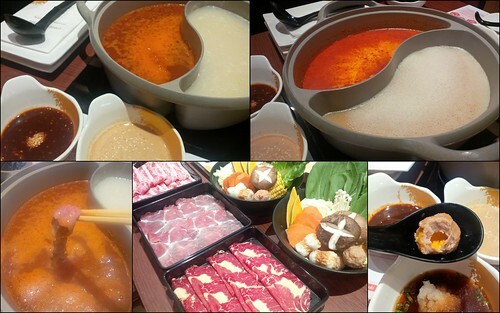 In fact, I was so stuffed by the end of the food tour, and a very well spent evening with new found friends! Many thanks to Bedok Point for making this possible, and the kind folks of Cohn & Wolfe for the invite. PS: Do drop by Bedok Point for more food choices! Been a while since I penned down stuff here, so I thought I would just pop in and write something… lest people thinks that I am totally dead or something. Just kidding! In the midst of exiting from my current job setting and transiting to a new environment. Suffice to say, having worked two years in a voluntary welfare organization setting has opened eyes, and a learning journey thus far… Hence, being offered an opportunity to a brand new setting… that kind of challenges beckons. Also, 2nd April 2014 marked the 2 years that I have career switched into Social Services, and the first thought was… time flies! It is still without a doubt, answering a strong calling from the advert the then MCYS published for a call for social workers. Admittedly, being a Social Worker is not as simple as being desk bound. Most of the time, we spent effort trying to help clients as much as we can within the allowed boundaries. Then again, it takes two hands to clap. If the client is not cooperative (same goes for the worker), then not much progress could be achieved. Also, it is up to the client to accept and move at the pace he/she decides to. No point forcing one’s solution on them, after all, a social worker is to help guide the client to solving the problem, not spoon feeding them. On a personal note, I am glad I got through all the tough hurdles to be a social worker, and now, the challenge ahead is to keep myself relevant in today’s fast changing pace in society. To the exit route ahead, and even more exciting journeys in life! This is a common question posed to me when I attend job interviews, or generally being asked upon learning of my occupation. The question itself ain’t offensive, I guess it evokes a sense of curiousness (if you know of my previous jobs). This mash up of Disney’s Frozen and Vivaldi’s Winter by The Piano Guys is simply on my repeat play list these days at work, or when I feel like listening to it. It’s interesting to see how it pans out so beautifully. A random thought, wouldn’t it be nice to have some sort of power? Then again, it might yield undesirable effects.